The smoke, ash, and emerging lava up the central vent are just the symptom of the volcano. The “real volcano” is down in the core of the earth. 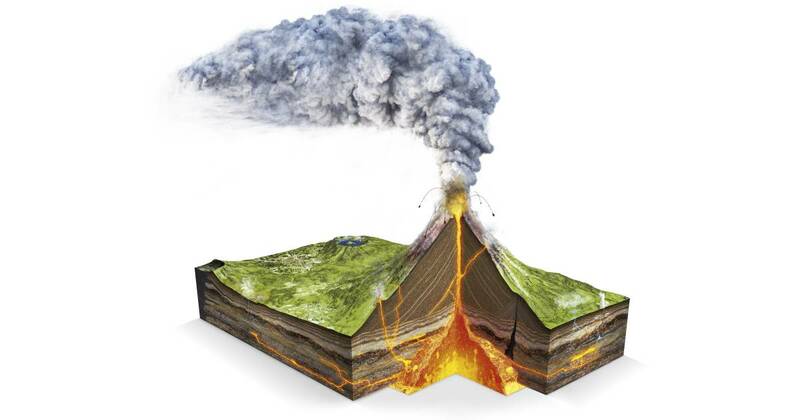 Tectonic plates shifting in the earth release the magma and gas that result in the eruption -- or symptoms -- on top. Stutters and physical symptoms that are seen and heard by listeners are just the smoke, ash, and lava if you will. Secondary symptoms such as eye blinking facial contortion during a stutter are a result of intense physical struggle to force the words out; like a volcanic eruption. The central vent of the volcano may be seen as the trachea, or wind pipe in a human, and the vocal folds (voice box). Stuttering symptoms may erupt in the lips, tongue, and voice as they rise up in the person who stutters. What leads to such physical drama at the surface? Why is it so important to not stutter that one would manifest such struggle? What lies beneath the surface is what stuttering really is. The teacher in Robert’s 4th grade language arts class announced: “we’re going to go from chair to chair and take turns reading.” Robert immediately felt anticipatory anxiety in his chest. He counted ahead and discovered he would be the 7th person called to read. His eyes scanned the paragraph for feared words and sounds. It was at least five minutes before he would actually utter a sound. However, he was already in panic. Robert remembered being laughed at during his last eruption of stuttering in language arts. His fear, embarrassment, and worry about what the kids will think are at the core of the stutter. Robert’s thoughts and feelings about stuttering are the tectonic plates about to release magma and gas. He is about to erupt in stuttering. What role genetics, family history, neurology, language, speech-motor skills, and predisposition to stuttering play in determining a full-fledged case of stuttering is, and will always, be speculated about. What guarantees a person to develop a chronic and persistent stutter is fighting and struggling with the speech impediment and any consequential avoidance habits designed to prevent and conceal stuttering. Physical struggle with added affect (feelings) and cognitions (negative thoughts) will provide the eternal flame inside the volcano. Disfluency consistent with stuttering may be characterized as part-word repetitions, speech blocks, sound prolongations, and tense word repetitions. Secondary symptoms are the facial grimaces, eye blinks, eye contact aversion, and extraneous movements of the body may accompany the symptoms in the mouth. These physical manifestations of stuttering represent the smoke, ash, and lava of the volcano. Deep down inside the stuttering volcano lives fear, shame, embarrassment, feared words, feared situations, and memories of stuttering. This cognitive and psychological fire is percolating and the stutters rise up from it. This is the deep-seated reservoir of hot magma (see diagram below). Many parents have told me something like this: “My child stuttered early on...it was pretty bad...then it seemed to go away...for years it came and went but didn’t seem to bother him. 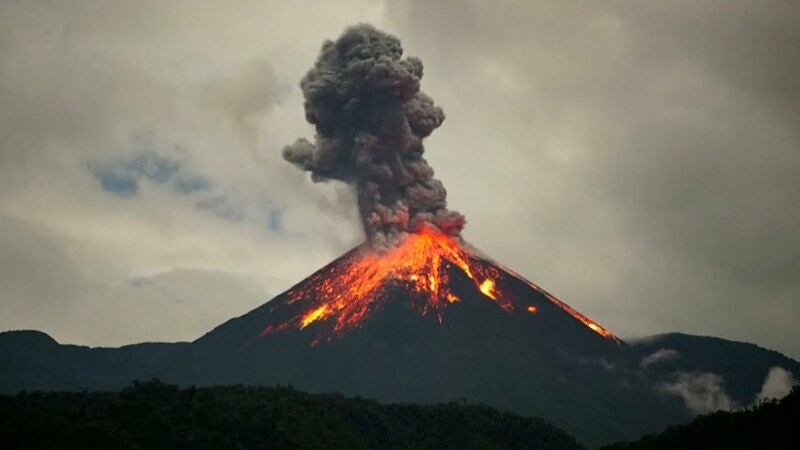 Now however, it is a real problem he’s struggling and talking less.” This scenario suggests that the volcano’s symptoms seemed to go dormant but the problem was still active deep in its core. The child described here is now old enough to fully experience stuttering and has likely had some troubling situations as a result of his stuttering. This child is beginning to form the identity of a stutterer. He may now be reflecting on past moments of stuttering, anticipating moments of stuttering, personalizing it, and erupting. How effective would it be to plug the top of the crater in an attempt to stop lava and smoke? Speech therapy that only treats the stutters in the mouth is equally insufficient. For the 4th grader Robert to read with ease and fluency in language arts we have to go the core of his stuttering volcano. If his anxiousness about stuttering is intense, he will be unable to use techniques like “easy onsets” and “targets.” If the deep-seated reservoir of hot magma is rising up the central vent, attempting to plug the top will not be adequate. At four years and five months of age, Mike clearly anticipated his stutters. When looking at pictures- requiring only a one word utterance- he would feel a speech block coming, stand from the therapy table, take a deep breath, and stutter until he ran out of breath. He would then take another big breath and stutter on the same word. It reminded me of this image with magma rising up the central vent and erupting. Sometimes when exhausted he would sigh and give up. He had stopped saying “I” and replaced with “me.” His previous advice to “talk like a turtle” was worthless considering the intensity of his stuttering and lack of control. I taught Mike to feel the speech blocks coming, relax his tongue and lips, exhale, and ease the word out. It was as though he could reverse the magma down the central vent. He has been stutter-free for two years. Since Mike had not yet developed cognitions and affect associated to his stutter, putting out the fire was pretty swift. Early intervention can make stuttering permanently dormant. Much like the “iceberg and stuttering” metaphor, the lay person may only see the symptoms on the surface. The person who stutters may have avoidance habits, fear, embarrassment, and specific haunting experiences that need intervention before we can cap the volcano and fill it in permanently. As I travel and present training workshops to groups of Speech-Language Pathologists (SLP) I am hearing more and more how children who stutter are denied speech therapy services in the school systems. Many of these children have significant covert problems unbeknownst to the teachers- and some times the parents, too. If the child who stutters has good grades on paper and no one has proven emotional distress related to the stuttering , some school systems will refuse to treat the child! This agenda began as a way for school systems to reduce the overall case loads of children served. I suggest the parent or SLP record an interview in which the child describes avoidance and emotional issues related to the stuttering and present that to administrators. Every time I treat a college student or adult still avoiding talking and fearing stuttering I see the result of the inadequate therapy they received as a child. Many adults have limited their incomes and the related monetary resources for their family by choosing a career with limited talking. I know one who has cleaned airplanes for 20 years; declining many opportunities for advancement. He fears stuttering during costumer interactions. Here are some of the examples I have heard straight out of the mouth of kids not in therapy: declining to raise hand in class, deferring a role in a school play, offering to prepare visual aids instead of speaking in a group project, fearing ordering food in the school cafeteria, faking sick the day assigned to read announcements on the public address system at school, not entering a science fair, and not calling a friends house to confirm a homework assignment. These are supposed to be kids who do not qualify for help. They are volcanoes with hot magma of fear inside who have intermittent smoke and lava symptoms up at the crater (the mouth). They will erupt again and again until they get help. If we treat stuttering early, it may still only be ashes and smoke with a little lava- symptoms at the opening of the crater. If we catch it early, there may be no significant thoughts and feelings about it. The greatest chance to make it permanently dormant is before age seven. It is normal for children as 2-6 years to exhibit loose and effortless word repetitions. During this time, children are in Piaget’s Preoperational Stage of cognitive development. During this stage, memory is vague and the ability to personalize and label is weak or non-existent. Obviously, these cognitive powers are very weak between age two and four and gradually strengthen as they approach age seven For example, the three year old who is imitated for stuttering by a 7 year-old at the playground will soon forget it ever happened. That three year-old cannot form a cognitive distortion such as: “The boy thinks I am weird or stupid because I stutter.” In fact, the three year-old will not know terms such as stutter or speech impediment. A kindergartner or first grader (age 5-7) may remember and personalize negative feedback from listeners. The child’s chronological age and temperament are key variables in whether they are oblivious to reactions (i.e., teasing, mimicking) or they are “traumatized” by it. Children who receive speech therapy for stuttering in preschool do not remain static. What I mean is that their left hemispheres- the speech and language areas- are developing at a turbo rate. Further, stressful events can happen (i.e., divorce, moving, etc). If the tectonic plates are still at risk for shifting and the child is not stable yet, several forces can create an eruption. Parents and teachers want to closely monitor for ne symptoms and look for any covert issues at the core. Early intervention can be key to resolving stuttering. Many children have exhibited cyclical stuttering- eruption and dormancy- before their stuttering becomes chronic. Once a child is older than seven he can begin developing the identity of a stutterer through personalizing moments of stuttering, remembering these moments, anticipating future incidents of stuttering, and being disassociated while speaking. Situational phobias can develop (i.e., public speaking, reading aloud) where an eruption of stuttering is all but certain. Speech therapy must treat the whole person. The SLP must use interview skills to elicit the cognitive and affective issues down in the core of the stutterer. The stuttering you can see and hear is just the symptom.